Each semester since the fall of 2012, Northern Illinois University’s Institute for the Study of the Environment, Sustainability, and Energy, along with Housing and Dining, has partnered with Goodwill Industries of Northern Illinois to collect usable goods. Since the beginning of the partnership, more than 30,000 pounds of items have been collected and diverted from the landfill. Goodwill bins will be delivered Monday, Dec. 8, to the residence halls. These bins will be available in the lobbies of Gilbert Hall, Grant North, Stevenson South, Stevenson North, New Hall East, New Hall West, the breezeways of Neptune Central and the game room of the Northern View Community. The bins will remain available throughout the final exam period until Monday, Dec. 15. Accepted items include, but are not limited to, gently used clothing, furniture, housewares, blankets and electronics. Unaccepted items include televisions, chemicals, carpeting, guns, and ammunition. For a full list of accepted and unaccepted donations, see the signs on the bins as well as the Give & Go! posters in the residence halls. 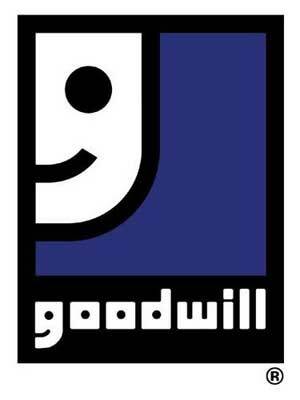 Goodwill works diligently to keep as much waste out of the landfill as possible through a variety of partnerships. Non-marketable clothing is sold on the salvage textile market. Computers are recycled through the Dell Reconnect Program. Hard plastics soon will be recycled in a similar way that cardboard is recycled (using a baler). An outlet store will be opened in 2016 for the purchase of bulk items by the pound. “We are excited to continue this partnership since it directly impacts the campus sustainability and benefits the local community,” Burlingame said. Sustainability starts at the top for Goodwill: Sam Schmitz, president of Goodwill Industries of Northern Illinois, sits on the sustainability committee for Goodwill Industries International, Inc., a networked organization of 165 community-based agencies in the United States and abroad. Golden Key International Honor Society is also a partner in the Fall 2014 Give & Go! donation drive. For more information, email kquesnell@niu.edu.